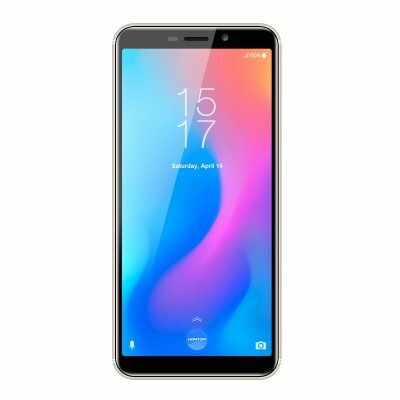 Successfully Added HOMTOM C2 Android 8.1 Mobile Phone - 5.5 inch, 2GB RAM 16GB ROM, Fast Charge, MTK6739 Ouad Core, 3000mAh Battery -Gold to your Shopping Cart. 5.5" 18:9 full display with 640*1280 HD resolution, look clear and vivid. MTK6739 1.5 GHz processor and Android 8.1 OS deliver fast and smooth performance. 2GB RAM+16GB ROM, along with 128GB expandable memory, offers the ability of fast reading and writing data, also provide enough space for storing data, apps, files. camera, supports dual sim dual standby, fingerprint unlock and face unlock. The HOMTOM C2 picks out three gorgeous colors which make you smell of vigour of youth--- Royal Blue, Champagne Gold, Dark Gray. These three colors perfectly reflect the frosted texture of the special back cover, giving you a sense of refreshing and relaxing feeling. The elegant C2 will be your best selection ever. Samsung 13MP rear camera helps capture each moment with a rather clear memory. And, you can also use the facial beautification mode, the panoramic shooting, the Bokeh mode, the HDR, the Auto-focus, etc, to shoot pictures in different tone and forms. HOMTOM C2 has an 18:9 full display with the 5.5-inch big screen. Its HD resolution, higher color saturation, the bright and vivid color balance, etc. will offer a quite awesome visual experience to you all! Face ID added into the C2 in order to unlock your phone more flexible. With the intelligent face ID unlock arithmetic, what you need to do is only to turn on the phone. Faster and safer! HOMTOM C2 is equipped with 2GB RAM plus 16GB ROM memory. If it cannot meet up your needs, another 128GB expandable storage space will help. You can store a great number of apps, videos, images, music, etc, just as you want. HOMTOM C2 houses a 3000mAh battery to help store enough power for the daily use. Combined with the energy-saving software. HOMTOM C2 enables you to do things you want on it.